On Dec. 11, the Seattle City Council passed the third and final bill in a legislative packet that will govern short-term rentals within Seattle city limits. The Seattle Hotel Association has been pushing to address unregulated rentals since the inception of this form of accommodations, and the city first took up the issue when then Mayor Ed Murray and Councilmember Tim Burgess proposed regulating STRs in early 2016. The regulatory bill limits the number of units any given operator may have and establishes safety, insurance and licensing requirements. Exemptions for existing operators was one of the most contentious issues in working out the regulatory framework. Options under consideration ranged from grandfathering in all existing operators to exempting existing multi-unit operators in several areas of the city from limitations. We are pleased that an amendment we supported passed this afternoon to reduce the exempt areas. New operators are restricted to listing their primary residence plus one additional unit. Existing operators will be limited to listing two units, except in a limited downtown corridor. After a year, existing operators can add their primary residence as a third unit. Existing operators may continue renting out the number of units they operate in downtown Seattle between Olive Way and Cherry Street, plus their primary residence and one additional unit. Existing operators are defined as those who can demonstrate that they, prior to Sept. 30, 2017, have been operating legally, which includes holding a business license and paying appropriate taxes. The new laws go into effect in 2019. In November, the Council approved a tax bill that established an $8 per night tax for a room and $14 per night tax for an entire unit. Airbnb has criticized the tax and calls it the highest STR tax in the country. Seattle’s new laws governing STRs will go into effect on Jan. 1, 2019. UPDATE–On June 4, 2018, the Seattle City Council passed legislation that repeals the short-term rental tax legislation and replaces it with a lodging excise tax collected by the state. 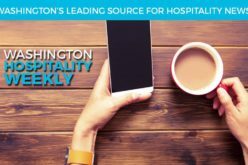 In March 2018, Governor Jay Inslee signed a bill that extends the current lodging excise tax to include short-term rentals and removes an exemption from the tax for lodging properties with fewer than 60 rooms. The revenue from the tax on short-term rentals in Seattle would be directed to the City to fund equitable development and affordable housing projects. In contrast to the flat tax adopted by the City last fall, the excise tax is a percentage of a rental unit’s nightly rate. This new model will raise a similar amount of revenue, estimated at $2.7 to $5.5 million, but it will save money for the city by eliminating the costs associated with implementation and enforcement. Seattle’s short-term rental regulations go into effect on Jan. 1, 2019.